Martha D. Saunders was born in Hattiesburg, Mississippi, where she began her quest towards prof essional education, as well as nurturing personal hobbies such as salt-water fishing, kayaking, and gardening. She attended the University of Southern Mississippi for a Bachelors of Arts in French, and then went onto study at the University of Georgia for a Masters in Journalism. Finally, have successfully and with honors completed her Masters, Martha D. Saunders attended Florida State University for her Ph.D. in Communication Theory & Research. Of course, as is true of any scholar dedicated to the field of education, Martha’s education and formal training did not end there. Throughout her career, she has constantly sought new courses, accreditations, and affiliations to give her the comprehensive offering to the educational community that it deserves. 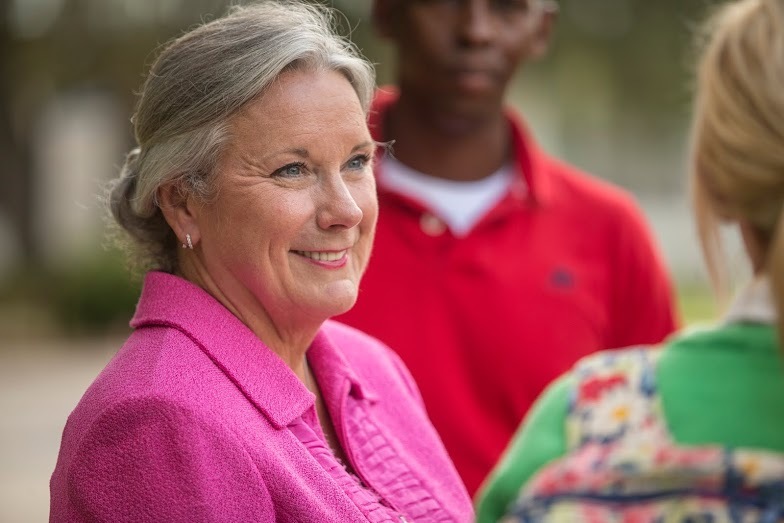 To this end, she has served on countless boards, committees, initiated new programs, sought new sources of income for fundraising efforts in her professional career, and the like-all for the betterment of education. 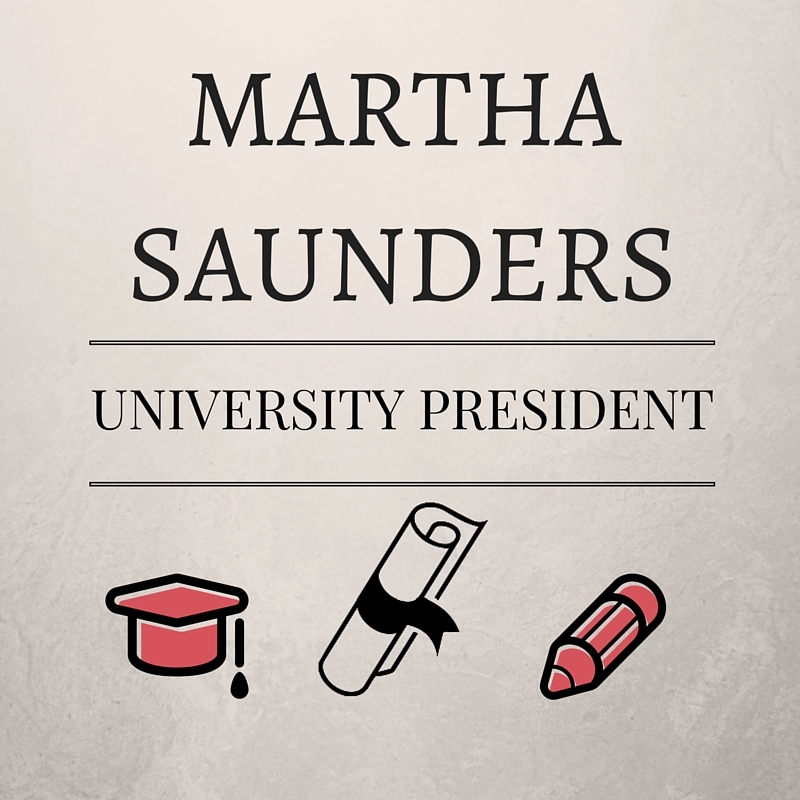 After her lengthy and austere educational training from Undergrad to Ph.D. student, Martha D. Saunders began her long and promising career with the University of West Florida, in 1984 as Instructor, Assistant Professor, Associate Professor, and Professor of Communication. Here, she also held titles of Coordinator of Public Relations Program, Director of Honors Program, Interim Dean, and Dean. From 2002-2005, Saunders became Vice President for Academic Affairs at Columbus State University. From 2005-2007, Martha D. Saunders was hired and successfully fulfilled career duties as Chancellor at University of Wisconsin-Whitewater. 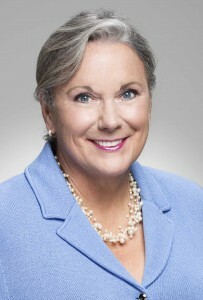 She then went onto become Professor of Communication and University President of Southern Mississippi from 2007 to 2012. Lastly, from 2012 until present, Martha has been gainfully employed serving the University of West Florida as Provost and Professor of Communication.